WASHINGTON, D. C. – The influx of immigrants to the United States from the three countries of Central America’s “Northern Triangle” region won’t see significant reduction until those nations can stand on their own economically. 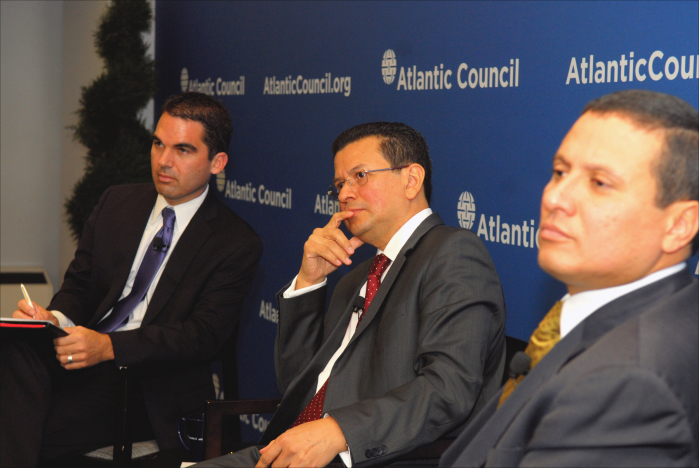 Hugo Martínez Bonilla, foreign minister of El Salvador, and his Guatemalan counterpart, Carlos Raúl Morales Moscoso, attempted to drive this message home during a Nov. 13 event at the Atlantic Council in Washington, D.C. The seminar, “Re-envisioning the Future: A Discussion with Central American Foreign Ministers,” was moderated by Jason Marczak, deputy director at the council’s Adrienne Arsht Latin America Center. It preceded by one day a meeting at the Inter-American Development Bank’s Washington headquarters with U.S. Vice President Joe Biden and three heads of state: Salvador Sánchez Cerén of El Salvador, Otto Pérez Molina of Guatemala, and Juan Orlando Hernández of Honduras. The three presidents had traveled to Washington in order to unveil their “Alliance for Prosperity” plan, which will largely be financed by the IDB, the U.S. government and other sources. Billed as a sort of “Plan Colombia” for Central America, the proposal aims for a total economic and social transformation of the region, including dramatic investments in job creation, crime reduction and physical infrastructure. A third panelist, Honduran Foreign Minister Mireya Agüero, had been scheduled to join her Salvadoran and Guatemalan counterparts on the podium, but she unexpectedly resigned the week before. Among other things, the Alianza para la Prosperidad del Triángulo Norte – as it’s known in Spanish – calls for an overhaul of tax systems and their management in the three countries, as well as the “creation of special economic zones” that would grant preferential treatment to new investment. Some 180 people packed the Atlantic Council’s auditorium for the event, including representatives of think tanks, U.S. government agencies, NGOs and 12 foreign embassies in Washington. Among ambassadors in the audience: Costa Rica’s Román Macaya and Nicaragua’s Francisco Campbell. This summer was dominated by news headlines describing the influx of tens of thousands of unaccompanied minors crossing into the U.S. from Mexico. That prompted President Barack Obama to speak out and helped bring the child migrant issue – as well as the tightening of border enforcement – to the forefront of the national immigration debate. The plan presented to the IDB has four basic pillars, said Martínez: economic development and entrepreneurship, safety and security, capital investment and human resources, and the development of capacities at the local level. Both men stressed the need for business-friendly policies that would lure foreign companies to Central America, which would in turn bring greater stability to the region. “The first thing we must offer is inexpensive energy. That’s something we’re pushing for right now,” said Morales, estimating that electricity costs 15 times as much in Central America as in Mexico, making operating costs prohibitively high. He noted that Guatemala is now in discussions with Belize to connect their national grids, allowing the two neighbors to buy and sell electricity from each other; also in the works is a gas pipeline from Mexico. Marczak asked the two foreign ministers how the Alliance for Prosperity is different from the Central American Regional Security Initiative (CARSI), a U.S. government initiative that has spent $642 million on assistance to the region since 2008. Both Mexico and Colombia are viewed by Central American leaders as success stories. 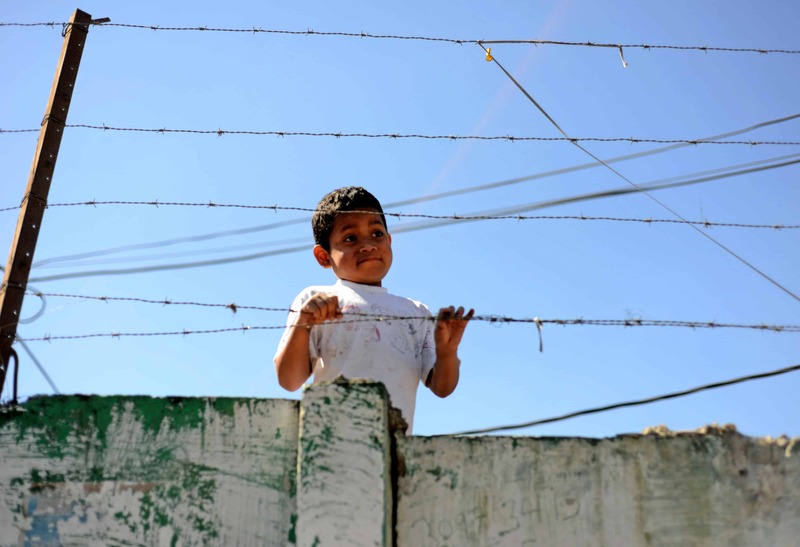 Yet the Guatemalan diplomat said the stark difference between his country and Mexico is immediately apparent to anyone who crosses their shared 960-kilometer border.